Welcome to Pawgeous Pooches. We provide the following professional pet care services for dogs, cats and small animals: dog walking, pet sitting, dog grooming, daily feeding visits, live-in sitting and pet taxi services. We cover Chessington, Ewell, Epsom, Hook, Morden, Stoneleigh, Sutton, Worcester Park and the surrounding areas (KT9, KT17, KT18, KT19, SM1, SM3, SM4). Our small team of dedicated pet sitters ensure that both the needs of you and your pet comes first. Where possible, we try and schedule the same pet sitter to your pet so a positive relationship can be built up. We want your pet to feel as comfortable in our care as they do in yours. We treat all pets like they are our own, as they deserve the best care possible. We are here to provide care for your pet whether you are at work, away from home or just require an extra pair of hands. You can use any of our standard services regularly, or as and when you require them. We offer tailor-made services which can be created to suit both you and your pet. We try and adapt to last minute requests and never let you or your pet down. We are fully insured by Cliverton and we ask that all team members undertake a police check and pet first aid course. Our team members have over 15 years of experience of caring for a variety of animals. Why choose our pet care services? To enquire about any of our dog walking, pet sitting or pet care services please call us on 07980 339 839, alternatively you can use our enquiry form at the bottom of this page. As a Pawgeous Pooch I know how important it is to be looked after and made to feel like an extra special member of the family. This is certainly something that our team strive to do. When your Pawgeous Parent can’t always be there, you want the reassurance that you will be taken care of in the same loving way. This is where Pawgeous Pooches could offer ease and comfort in your own home. Their aim is for you to have the time of your life during their dog walking, pet sitting and pet care services, and for your Pawgeous Parents to have peace of mind knowing that you will be happy and safe for their return home! I will be reporting on all the latest news, so look out for my pupdates. Superb dog walker! I got a Staffy boy from a rescue centre over a year ago, and needless to say it has taken him time to settle. Pawgeous Pooches have been brilliant and patient with helping us to do this and have also carried on training whilst walking and dog sitting. The difference in my pooch is very noticeable and I credit Pawgeous Pooches in helping us achieve it. Brilliant, reliable company! 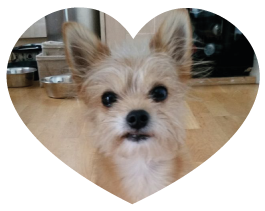 Pawgeous Pooches has been providing a doggy daycare service for my small Chorkie – Tyson three days a week whilst I am at work, and I could not be happier with the service we receive. 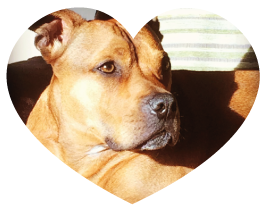 Tyson is collected from our house in the morning, is taken on a morning walk and has plenty of fun and cuddles throughout the day. It is such a relief to know he is being cared for so well and by someone who truly cares about the welfare of your pet. Tyson gets so excited when he knows he has his daycare and I am fully kept up to date with lots of pictures. I can’t thank them enough for the work they have put in to make my usually nervy dog settle in so well – I couldn’t be without them now! 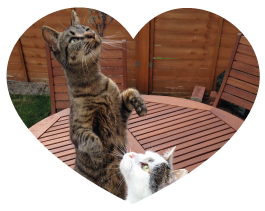 Our cats were well looked after – they loved being able to stay at home and the attention they received whilst we were away. The staff were lovely, very helpful and made us feel comfortable leaving our cats at home. We had just moved in and the cats weren’t yet settled, but the staff did a wonderful job of looking after them and fussing them – we were even sent a picture of one of our cats while we were away! They also fitted us in last minute (due to the move) and we really appreciated that. 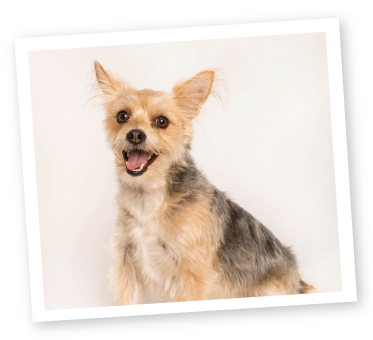 We would definitely recommend using Pawgeous Pooches if you are going away and wanting to leave cats at home.